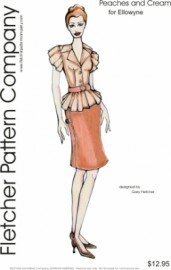 Up for consideration is Peaches and Cream for Ellowyne. 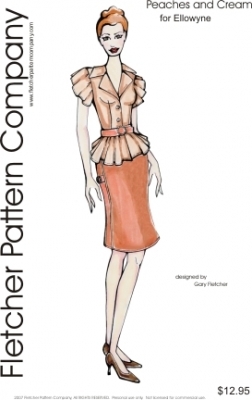 This two piece ensemble with belt was designed by Gary Fletcher. The PDF version prints on A4 and 8 1/2 x 14 legal size paper. Notions: 1 count snap, 1 4 1/2" doll zipper trimmed to size, 3 count 3/8" buckles. 3 count 3/16" doll buttons.